This Grade II listed building can be found in the heart of the financial district and provides flexible office space that offers tenants a professional yet friendly environment flooded by natural light and stunning views. 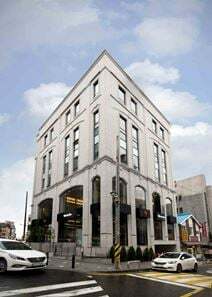 Located on one of Seouls main streets this center is on the eight and ninth floors of this naturally designed building and has views of various well-known sites. The airport is within easy reach and a variety of flexible solutions are available. This building enjoys an excellent location that is well served by public transport and is surrounded by many other businesses including a great selection of restaurants, banks and hotels. Ideal for domestic or international companies, this centre provides a range of flexible office solutions. With a range of business support services, and flexible workspaces, this centre is an ideal address for your business. Close to the famous football stadium and various transport links, as well as a great selection of places to eat. Opening soon. Co-working and private office solutions are available at this space. There is an onsite management team to help with business needs. Regular professional and social events take place. Hop into one of the phone booths for quiet phone calls. Hongik University Station is just a two minute walk away, on Line Two. Close-by, there are many shops, cafes, restaurants and convenience stores. It is a 7 mile drive to Gimpo International Airport. 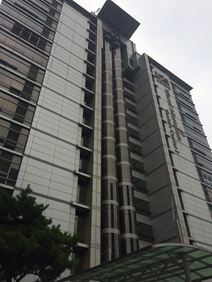 On the fourth floor of this tower, this center provides a convenient location for your business in the heart of Gangnam Business District, an area popular with software and gaming companies and major Korean conglomerates such as KT and Posco. Situated in the heart of the famous Gangnam business district this business center offers 38 serviced office suites with both modern and stylish design. Friendly English-speaking staff and various conference rooms also available. Within Seoul's bustling shopping and tourist hotspot Myeongdong is where you will find this co-working space. A centre offering a variety of office space solutions and areas to conduct your business, from hot-desk areas, private offices, meeting and event spaces, phone booths, and breakout spaces, you will not be short of options to meet your business needs. Well connected to public transport, this centre is conveniently accessible with a variety of facilities to help you conduct your business. This unique collaborative workspace provides members with a lively and vibrant atmosphere to work from in the heart of Seoul. Ideal for start-ups and large companies the space also consists of on-site conference rooms, phone booths and kitchen areas. 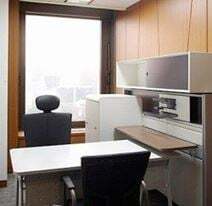 Conveniently located close to Gangnam Station in the heart of the business district this modern and professional business centre offers a mix of shared office space and fully furnished executive suites. A business lounge is also available to provide a great space to conduct meetings. 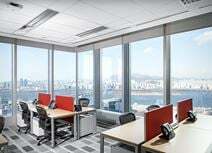 With six different types of modern spacious offices to choose from tenants of this space have views over Gangnam-daero, Garosu-gil and the Han River. The building is surrounded by other offices building, restaurants, shops and hotels, while it is only 100m from Sinsa Station for convenience. 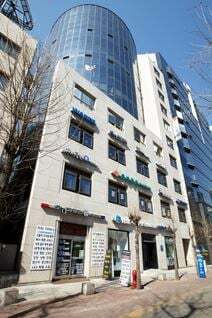 Currently home to around 60 companies this ready-to-go office space benefits from a great location, close to Gangnamgu subway station. As well as a conference room available to use, tenants also benefit from free beverages throughout the day. 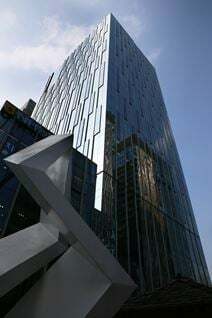 This centre is ideally located in Yeouido Business District, and combines cutting edge design with high-end technology. Boasting incredible views, these offices are available in a range of configurations and on flexible terms. 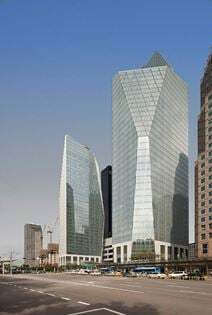 Providing direct access to Yeoudio Metro Station, and situated on Level 43 of this tower, this impressive office space is the perfect location for clients seeking to establish a physical presence within the Yeouido Business District. Tenants of this work-space benefit from a premium environment with state-of-the-art conference facilities and ergonomic furniture from Herman Miller as well as convenient access to local amenities. Designed for creativity, comfort and productivity, clients and their business can benefit a lot if working in this centre, from front-desk services and printing facilities, to high-speed internet and complimentary beverages. Situated in the heart of Seoul, clients can enjoy this lively location. With Line 1 and Line 4 a two-minute walk away, on-site parking available as well as bike storage on the ground floor; no matter how clients chose to commute to work, it is made easy. This space has both coworking and private office solutions. The centre provides English secretary service, virtual office service, and business consulting services. with reasonable price. Business concierge services are also on offer, such as: company formation assistance, arranging accounting & legal services, administrative support, arranging translation services (English, Chinese), arranging working visa/patent/domain name registration,web hosting service and web/Internet development/maintenance. Just a two-minute walk from Daewha station and close to Kintex, a representative of the Korea Exhibition Center this business centre provides spacious private offices, on-site café facilities, business support services and meeting rooms. A massive office space is available to let in one of the most attractive business areas of Seoul. Designed by a famous architect, this elegant office space is decorated with great attention to details, offering stylish working solutions to companies and entrepreneurs. It is equipped with modern furniture and technological systems to offer you a highly professional working environment. Close to the railway station and served by various underground and bus lines, this office space is easily accessible and is surrounded by numerous companies, offices and attractions. Opening soon. Phone booths are accessible. These are soundproofed cosy cubicles where you can conduct phone calls and video chats. A cleaning service maintains a clean and tidy working environment. Printers and shredders are available on every floor. Breakout areas feature a selection of comfy seats and sofas. Positioned over 8 floors of a modern building. You can reach Jonggak Station, which serves Line 1 via an underground passageway from the building. In the vicinity, there are cinemas, cafes, shops, restaurants and convenience stores. Thee is also a large park opposite the centre. The ideal workspace for start-ups all the way up to large international companies. Located within am A grade commercial building that combines office space with world class hotels, department stores, major companies, finance enterprises, government offices and banks. Surrounded by the historical and cultural facilities which symbolizes Seoul’s pride and delivering numerous amenities, including; furnished offices, secure Wi-Fi, communal kitchens, lounge areas, meeting and conference rooms, plus janitorial services and maintenance. This new business centre in Gwanghwamun in Seoul offers a fresh and contemporary working space in a central location. The spaces offered are kept flexible to suit your needs, whether you are searching for long term or short term. Dedicated meeting rooms and lounges come with custom wall murals and marble desks, making the space unique for you. The Heungnyeum Gate is also in the vicinity of this office, a renowned landmark which serves as the gate to the Gyeongbokgung Palace. Occupying two skyline floors of this building directly connected to Jong-gak subway, this centre provides 74 various sized office units with state-of-the-art technology, a luxurious co-working lounge and a seminar room suitable for up to 80 people. 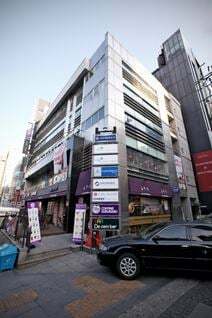 This center is located in the center of Seouls ,ost famous business street and offers direct connections to the citys subway lines. There are a number of serviced options including smart desks available for single days to long-term spaces. Directly connected to the Shinnonhyun Station this center is located on the eighth floor of this tower on Kangnam Street. The center is spread across 660m² of space and provides a variety of flexible solutions. This newly-refurbished office is available for lease in an excellent condition - with high-quality furnishing and latest communication systems. Virtual offices are also available on request. It is only a minute's walk to Jonggak Subway Station and a short drive to the airport shuttle point. Conveniences such as post office, banks, hotels, restaurants and shops are all nearby. With private offices suitable for one to four people, this modern and stylish business centre also provides open and spacious co-working space and conference rooms in the heart of Seoul"s CBD. Right next to the historic Myeong-dong Cathedral this creative and collaborative workspace uses its cultural surroundings to inspire its members who take advantage of a mix of fully furnished private office space and coworking area. Just a five-minute walk from a subway station making travelling around Seoul easy. This business centre offers elegant offices, spacious meeting/conference rooms and high-speed Internet access coupled with professional reception services. 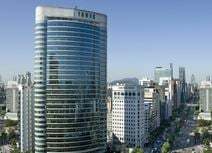 It is conveniently located in the centre of Seoul's business district and is surrounded by excellent facilities such as COEX Mall, Hyundai Department Store, ASEM Tower and InterContinental Hotels. Direct transport to both Incheon and Gimpo International Airports are accessible via the nearby City Air Terminal which also provides customs and immigration services. An open office space offering virtual office and co-working solutions. Enjoy 24 hour access to the space. IT support is on hand. There is a kitchen area, where you can prepare your lunch. Videoconferencing and conference facilities are available. Meeting rooms can be booked. Located in a well-known building in the Banpo area. Express Bus Terminal is an 8 minute walk away. Here, you can access lines three, seven and nine of the subway system, and also hop on a high-speed bus to central Seoul. In the surrounding area there are several hotels, convenience stores, banks, shops, cafes and restaurants. This centre is housed within a landmark building in the heart of Seoul's premier financial district, enjoying a stunning view over the city centre and beyond. Interior designs are modern but not overwhelming whereas the furniture is of the highest quality. A host of features are available and these are complemented by dedicated business support services. Surrounded by major banks and financial institutions as well as top business hotels. 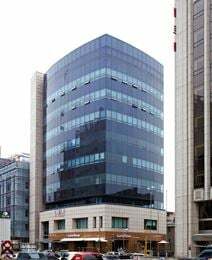 In one of the biggest business districts in Seoul, Korea, this Gangnam business centre was launched in 2011 and provides convenient access to the Gwanghwamun station of subway line 5 as well as fully furnished, luxurious office rooms and high-quality business support. A well-appointed, stylish office space. The interior is modern and smart. Sizeable windows enable a great deal of light to reach the space, and provide fantastic views of the surrounding area. There is a pantry area with coffee machine and filtered water. Meeting rooms are well furnished with whiteboards and TV screens. Situated on Sejong-daero and positioned in front of Namdaemun. City Hall Station is a two minute walk and Seoul Station is 8 minutes away. Nearby, there are several restaurants and coffee shops. Thee are also a number of supermarkets and convenience stores close-by. At the iconic Gwanghwamun intersection in the bustling Central Business District is where you will find this co-working centre. A co-working space that offers a variety of workspace types and a large selection of amenities to help make your business and workflow run smoothly. Well connected to public transport and in a great location to access a plethora of retail and dining options so you can maintain a perfect working and leisure balance. The centre is in Selleung-ro Gangnam-gu, you can easily come to the centre by train (Apgujeong Rodeo Station). The centre is surrounded by lots of fast food shops. The centre provides phone booths for conducting private calls and video chats, fruit water to keep you hydrated, meeting rooms for you to hold a meeting, cleaning services to tidy up your work place and social event for you to join so you can meet up with your coworkers. 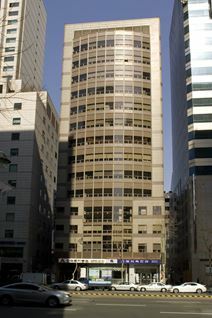 This office space is located in the expanding Gangnam commercial area, Seoul's premier business location. Both Gangnam and Shin Nonhyun subway stations are within walking distance. Express bus terminal is also nearby which provides easy access to other regional cities within Korea. Surrounded by banks, retail shops, cafés and eateries. With a shopping mall located on the floor below and a sauna in the basement, these office suites are more spacious than in many of the surrounding buildings and are located close to Seoul Foreign School. A superbly appointed leased office is available in the newly established business centre of Gwanghwamun, in the heart of Seoul city centre. Executive suites and luxurious lounge comes as standard and there is also a training room for your use. You would be surprised to find a relaxation room with a massaging chair in this office - perfect to unwind after a stressful day. Surrounded by major government offices, international banks, financial institutions and embassies. 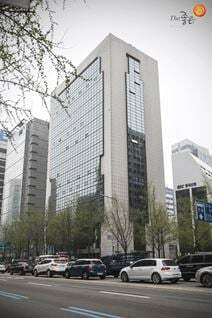 First-class offices are available to let in the heart of Seoul's business district. The offices offer a wide range of services and facilities, including advanced technology systems and parking facilities. This area hosts numerous leading companies, public administration offices and institutions, hotels, restaurants, bars and various shops, which are located within walking distance of the building. This comfortable and professional serviced centre provides a high-quality, luxury office environment, with a range of business support services on offer. Situated conveniently close to the local metro and airport. On the fifth and sixth floors of a building on one of Seouls most popular streets, this center provides a variety of flexible workspace solutions, meeting rooms and an on-site lounge café. This centre is located on Level 20 of one of the most sought-after Grade A contemporary office buildings in Seoul. The spaces have been refurbished and boast a high-quality fit-out throughout and come fully equipped with Herman Miller ergonomic furniture and cutting-edge, on-site facilities. 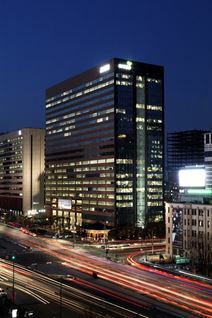 The centre's location in the Yeouido Business District provides excellent access to a range of local amenities. From Samseong Station, this centre, boasting impressive panoramic views of Seoul, inhabits a new tower in the prestigious Gangnam District. Just a stone's throw away from Korea City Air Terminal this centre has great access to both Incheon and Gimpo International Airports. Offering all types of office solutions as well as meeting room rental, this well connected centre also hosts great facilities to help you with your business. Close to Incheon Airport, this centre has collaborative and private office space spread over 11 floors of an impressive building in Teheran-ro. The on-site management team also put on weekly networking events as well as workshops for developing business skills and are on hand to assist you and your business. The space also boasts excellent access to several transport hubs including Icheon Airport. Flexible office space spanning three floors of 24-floor high rise within the heart of Teheran Valley. Equipped with a range of facilities, including unlimited coffee and fruit water, and a vibrant selection of custom-designed lounge areas. Located in the heart of the bustling city district of Yeoksam-Dong, just a minute's walk away from Yeoksam Station. A variety of bars, restaurants and supermarkets can be found in the surrounding area, providing you with plenty of choices for lunch, shopping, after-work drinks or venues to meet clients outside of the office. Based in a busy central area of Seoul, this fantastic, new workspace offers everything your business could want in an office. Choose between a comfortable private office for you and the team and open-plan coworking spaces where you can collaborate and grow your immense business network. A five minute walk gets you to Seollung Station, and an additional five minutes will get you access to Yeoksam Station - making your daily commute a breeze. Less than a five minute walk from both Yeoksam and Gangnam stations, and with parking available on-site, this serviced business centre offers you the opportunity to have your needs catered for - even if you didn't know they existed. From private offices and co-working desks to the unlimited beverages on offer, whether it be coffee or fruit water. Audiovisual equipment, conference rooms, and a "library" ares with its own printing facilities are just some of the extra benefits of taking an office in this building. Opening soon - The centre based in Seoul is very well connected to public transportation as Seolleung Station is about a five-minute walk away from the centre and Samseong Station is less than a ten-minute walk from the centre. Discover floors of co-working and private offices with amenities like a micro-roasted coffee bar, fresh fruit water and decorated lounge space with custom murals. Opening soon. A dynamic office space offering dedicated desk, hot desk and private office options. Meeting rooms are available to book and are well furnished with conference facilities and A/V equipment. Situated in Gangnam-Gu district, on Teheran-Ro. Close-by, there are a variety of cafes, fast-food joints and restaurants to explore during your stay. Additionally, there are a number of banks and convenience stores. Based in a busy central area of Seoul, this fantastic, new workspace offers everything your business could want in an office. Choose between a comfortable private office for you and the team and open-plan coworking spaces where you can collaborate and grow your immense business network. A five-minute walk gets you to Seollung Station, and an additional five minutes will get you access to Yeoksam Station - making your daily commute a breeze. Take a walk in the underground mall or treat the team to lunch at a restaurant downstairs. Surrounded by giant corporations and a vibrant entertainment scene. In the heart of Seoul"s Gangnam business district right by the subway station, this business centre provides quick and easy access to the whole city from a base surrounded by many major corporate headquarters. A range of open-plan office space and fully furnished executive suites are available. These spaces are uniquely designed, fully furnished with stylish furniture and customised to your tastes. You will find refreshing murals, wallpapers and marble desks in working areas. There are also common areas dedicated to regular in-house professional and social events, allowing you to network and expand your business contacts. To keep you going throughout the day, there is an unlimited supply of refreshing fruit water and micro-roasted coffee for you and your guests to enjoy. Conveniently located in the core Gangnam Business District of Seoul, and surrounded by many major corporate headquarters, this stylish and well equipped serviced office provides high quality workspaces to suit a range of business types. This is an excellent location, well connected and easy to access. With an unbeatable location in the centre of Yeoksam commercial area, these office buildings provide the ultimate business experiences for tenants and their clients alike. The latest in technology equipments are utilised from reception lounge to meeting rooms. This is further enhanced by professional staff who are always eager to help. Conference, seminar and lecture theatres are also available. The office is also close to all the major roads and public transports. 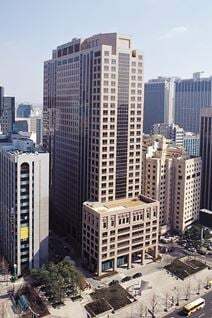 A superior serviced office is available in a prestigious landmark building at the heart of Gangnam business district. The office enjoys a stunning view of the city centre in addition to its great location. Three international hotels (Ritz-Carlton, Renaissance and Novotel Hotel) are within close proximity as is various restaurants and fitness centres. Dedicated business support staff are also available on-site for your convenience. Just a short car journey away from the Incheon International Airport and Gimpo Airport, this professional business centre is in the heart of the Gangnam business district and provides fully furnished and equipped executive suites and shared workspace. This co-working space is like no other - offering seven differing kinds of workspace and meeting rooms. Take advantage of the fixed-price memberships, which mean you can work remotely from any of this provider's eight locations. Amenities in this space aren't limited to the complimentary beverages, high-speed wireless internet, printing facilities and access to meeting rooms. Located just minutes away from public transport links, your daily commute will be a breeze. 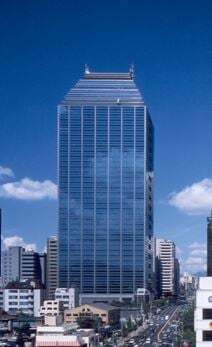 This business centre has dining and banking facilities within the building, and is ideally located in Korea's finance district, where many other established companies are based. The centre has quick and easy access to Yuido Station and other transport links.